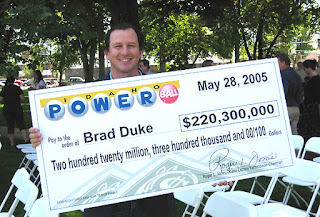 Brad Duke, a regular guy with a regular life and big dreams. Much like any other lottery player really... except for one thing. This man had a plan, a goal to turn his Millions into Billions... find out exactly how he managed his winnings. (And yes, he did splurge a little). Read more about this Aspiring Billionaire here.